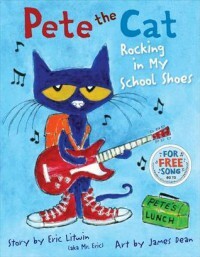 Pete the Cat is about a little cool cat who attends school and he is rocking he new school shoes. Pete the Cat take a tour around the school and sings his song, "I'm rocking in my school shoes." I would read this book to a lower elementary class and allow my students to write about cool things that they like to wear to school. I would allow students to illustrate a picture and share with the class.